After sunset the fire continued to burn as it marched over the peaks of the mountains in the distance at left casting a bright yellow glare in the night sky. Within minutes, yesterday afternoon, this fire had blossomed from a wisp to a towering column of smoke. 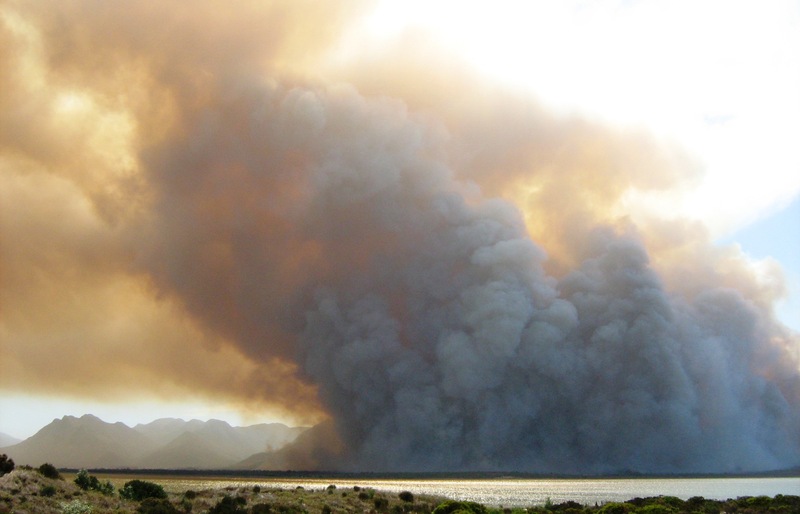 The vegetation of Fynbos contains plant matter with eucalyptus-type oils that burn very quickly.